Have you ever wondered why musicians create catchy songs about sadness? We can almost assume the manipulative bastards want us to suffer. For the artist it’s a bit of channeling, but the residual attracts a group of fans relating over their collective misery. So why do some of us love this music so dearly? Why as kids did we scream into pretend microphone hands and unleash a fury? The answer is simple, really—it’s a release. The EP Caroline by Citizen Soldier is just such a thing: a loud, thrashing exorcism of glorious mental vomit, and it’s the best thing I’ve heard from this genre in some time. The video for Citizen Soldier’s “Buried Alive” features a young woman drowning in a bathtub while she experiences a series of crestfallen moments. The water/world is slowly creeping over her mouth just before she pushes up, echoing the lyrics of the song. It’s easy to map out the depressive themes that recur throughout the album, but there’s an underlying fight in the depicted characters that ultimately makes this project rewarding. She doesn’t let her world consume her, and challenges the monsters in her head. In the song “Caroline,” perspective becomes the focus and we get a moral understanding in relation to circumstances and where our feet end up. 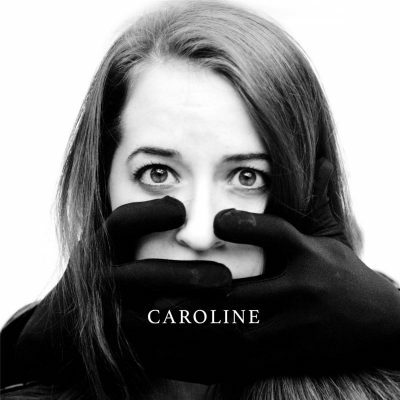 “Caroline” embodies the distance between what we know and where we are. It’s beautiful, sad and a lot of fun to sing along to. The EP continues with “Soldier,” where crashing guitars imitate the world around outsiders. The fighting theme is most evident in this song, and the self-acceptance feeds the ones marching on. “15 Minutes of Fame” is a ballad in self-awareness, a joyous cry that would sit comfortably in progressive church youth groups. “Let It Burn” closes out the record and feels like a montage of all the themes addressed in the album, as though they are being set free or let go. The importance of moving on ends this album with a very welcome and hopeful note.